In the EU elections from 22nd to 25th, the anti-EU parties, like Front National in France, enjoyed their victory as the European citizens couldn’t stand with the fiscal austerity that had been imposed to them. Recognising the results, the German prime minister Angela Merkel mentioned the necessity of accepting the needs for more dovish fiscal policies. 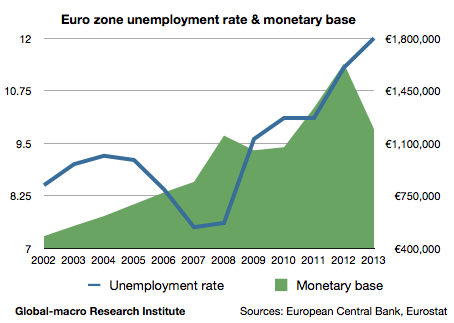 This is the first step of the true economic growth of the euro zone, which the market has been longing for. 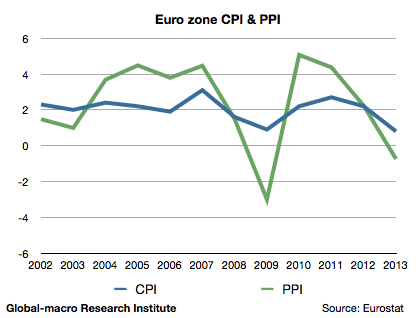 It’s well-known that the public investment couldn’t stop the deflation of Japan, where the unemployment had been very low, but in the euro zone, where the huge number of jobless people suppress the labour market causing the disinflation, both of the fiscal and monetary policies should work to stop the disinflation. As the currency depreciation would happen with the monetary base expansion, the euro zone could revive the economy just by following the Fed and the Bank of Japan. According to Reuters, Angela Merkel mentioned that she would accept the policies of the other countries that would promote the economic recovery. 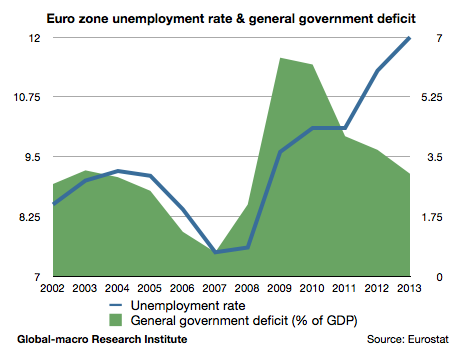 This is the very beginning of the genuine growth of the euro zone economy. This news imply to investors that the European stocks would become relatively more attractive than the expensive American stocks, and that they should more focus on Southern Europe than the advanced economies that have been doing well. This will also make us move from a scene to buy the property companies of the major European cities to that to buy the Southern European cyclical stocks. Watching the money flow, the investors would need to keep their positions reasonably adjusted, time by time.